Lightweight cool fabric wicks moisture away from body. 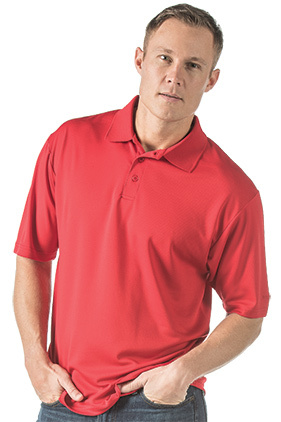 100% polyester, 4.3 ounce PLAYDRY® moisture wicking performance fabric. PLAYDRY® UV protected micro-mesh polo. Tonal 3-button placket, flat knit collar, reinforced even hem, & double stitched self-cuffs. Reebok embroidered on left sleeve.